It was a busy few days for the (sometimes) Central Queensland-based Sydney Skydivers Pacific Aerospace PAC 750XL VH-XLC. Last Sunday 29 July, it was noted departing Innisfail (where it seems to have been operating of late) for Roma Airport before it continued to Bankstown. After undergoing (presumably) some maintenance, VH-XLC was then noted operating out of both Wilton and Elderslie in New South Wales before heading back North on Sunday 5 August. It was noted departing Gayndah for Gladstone Airport after the sun had gone down and looked to stay in the port city for the night. 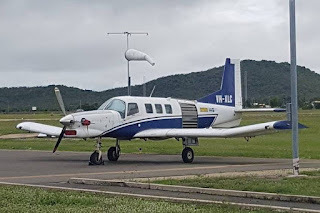 Then on Monday 6 August, VH-XLC departed Gladstone Airport for Mackay and Bowen Airports before it then continued back to Innisfail where it appears to be operating once again. Of interest, VH-XLC has spent some time over the last couple of years based at Bowen Airport operating for the relatively new company Airlie Beach Skydivers - as shown above. Airlie Beach Skydivers (WEBSITE HERE) has an office in Airlie Beach and busses thrill-seekers to Bowen to board their aircraft before jumping out over the beautiful Whitsundays including beach landings! 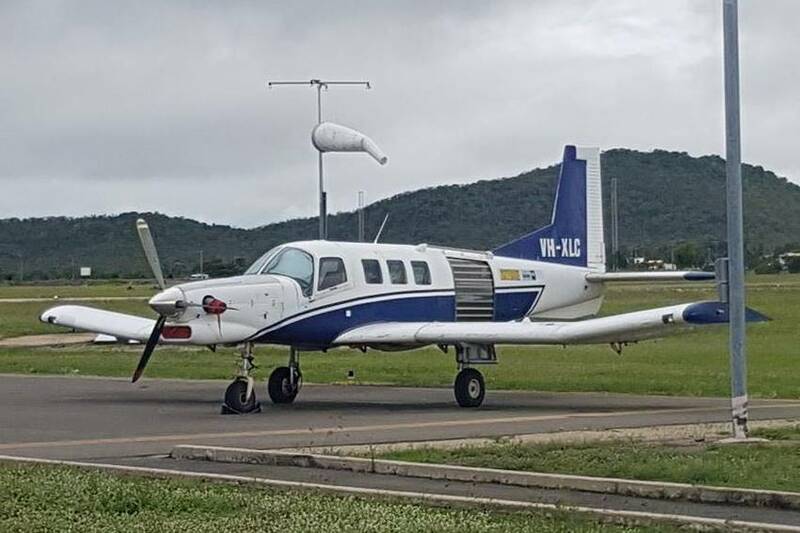 The company also uses the smaller FNQ Aviation (Misson Beach) Cessna 182 VH-TIO for parachuting operations out of Bowen Airport.